Seasons come and go, but our love for all black everything is forever! 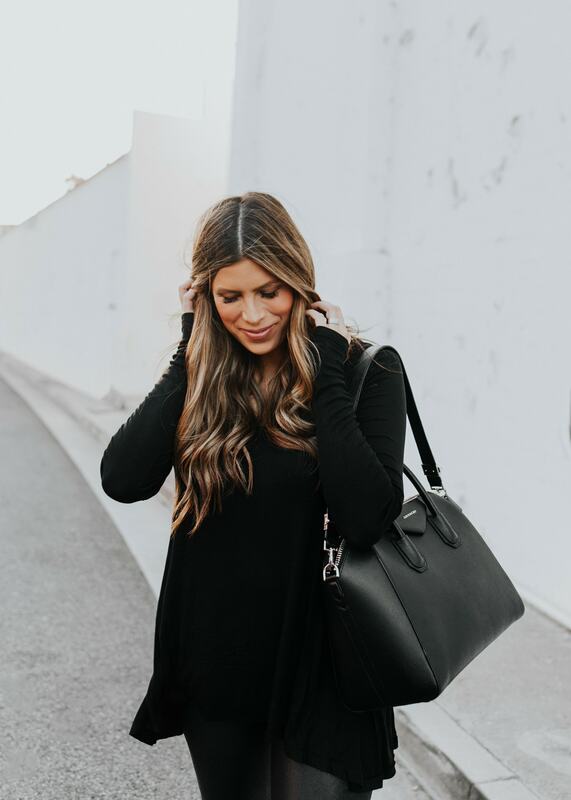 Monochromatic outfits are totally my jam, but there's something about head to toe black that it just so classic and chic. 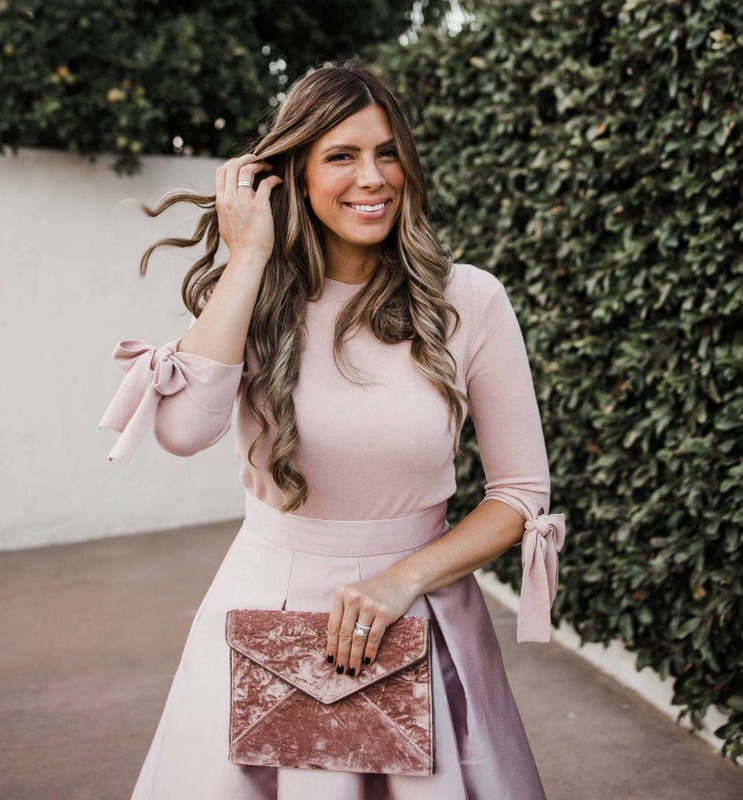 Sticking to a single color palette also makes throwing together an outfit and getting out the door super easy! And of all the monochrome out there, all black is my fave. Makes you look skinnier, no shades to match exactly, it's always an easy win. As I mentioned last week in this post about how to dress post baby, the struggle is REAL right now trying to wear real clothes and feel confident. This all-black outfit came together so easily and gave me maximum comfort while not looking like I was in pajamas so I'm pretty excited to share all the details with you. 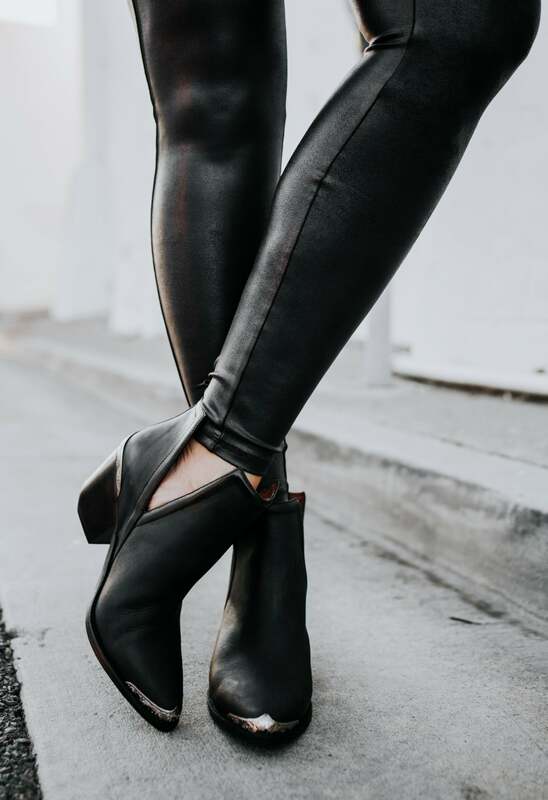 These faux-leather leggings are SO amazing. They make me feel 1 size smaller instantly. These are actually made by SPANX, so the high waist is actually a control top that just feels smooth and sleek! I feel like an unexpected texture (like faux leather!) adds such a fun element to a monochromatic outfit and breaks things up a bit. This ultra-soft tee shirt is 100% my jam right now. I actually have it in a couple colors (I wore the white one here!) and I just love how the fitted sleeves look next to the flowy, more forgiving shape. This is great on its own or as a layered piece, and you know I'll be styling it both ways in the coming months! 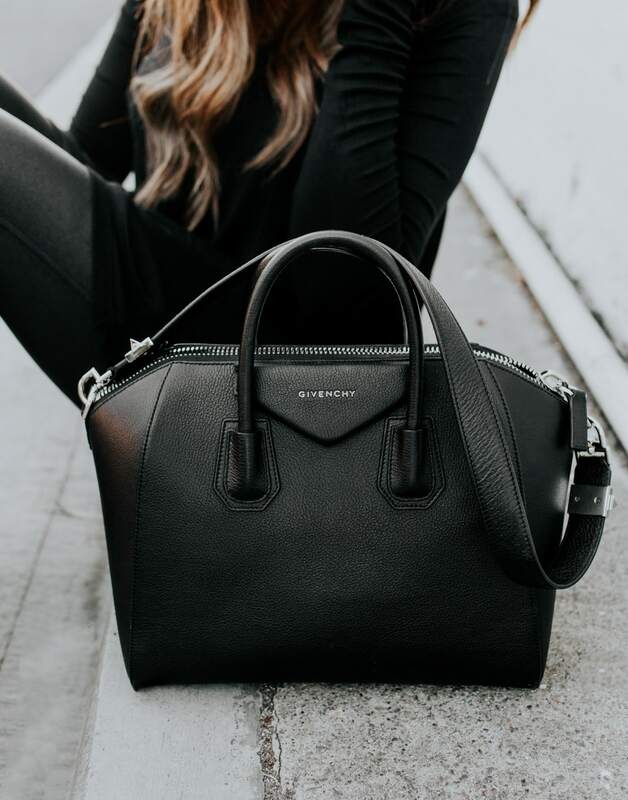 Heart eye emojis ALL DAY LONG for this leather satchel! 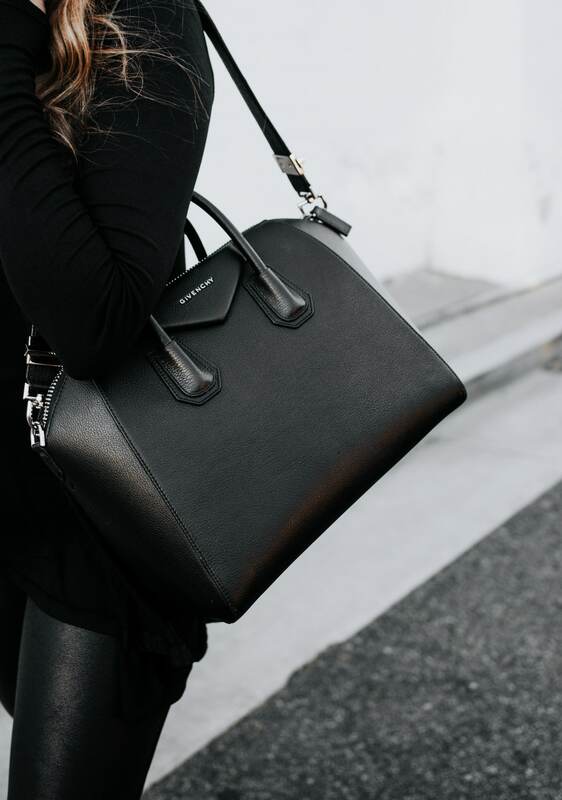 It's a huge splurge, but it's one of those bags that will never, ever go out of style and will last a lifetime. I find myself reaching for it over and over again in every season! The powder color is equally as swoon-worthy in my book, although I love how classic and versatile the black is. It's got room for everything I need day to day, while also being compact enough that it's never cumbersome. If it's not in your budget the dupe is nearly identical. Honestly, one of the best dupes I have ever seen and it's on sale for $33.48(orig. $67) right now! That is a serious save. 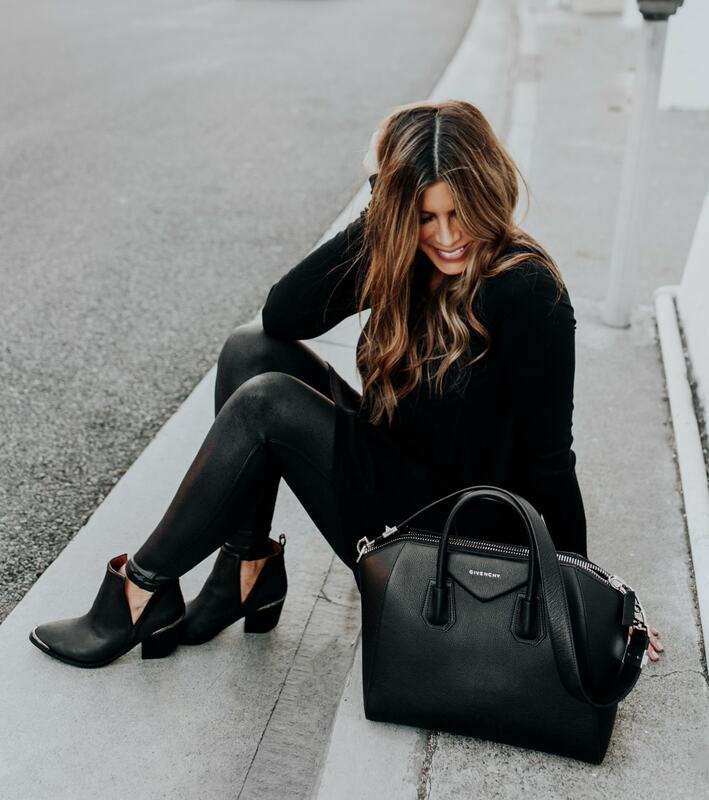 Black booties are a total closet staple for me. I love the Western detailing on these ones because they feel a little edgier, especially when combined with the cutout side detail! The block heel makes them comfortable enough to wear day in and day out (which you know I plan to! ), and when paired with leather leggings, they bring out my inner rebel without a cause, haha! But seriously they really are SO comfy and classic enough to stay in style for years. 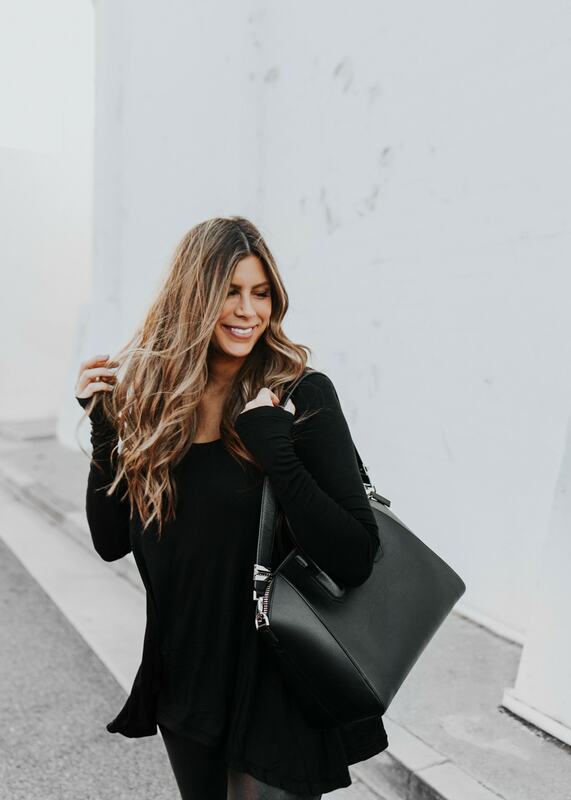 We have searched online and have rounded up some all things black clothing and accessories that we think you'll love. 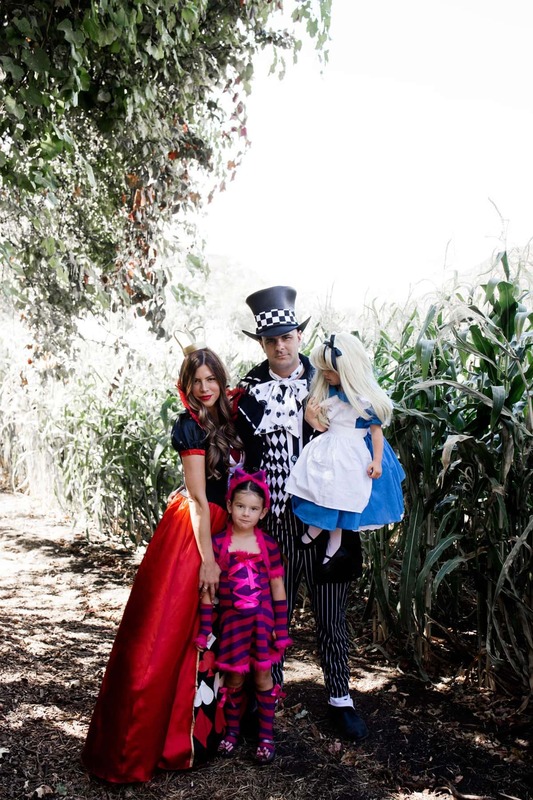 See our faves below! !